This post is sponsored by UnitedHealthcare. 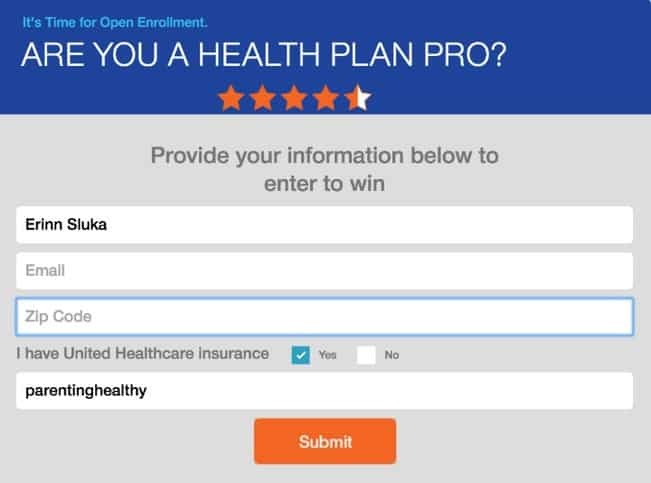 Are you a health plan pro? A health plan pro feels confident in choosing a health plan that best fits you and your family. This engagement site is so valuable to anyone from the young to old. Please share this with anyone you know who may need some education in choosing a plan for them. Matching Game: Learn about 3 different types of healthcare accounts-FSA, HSA and HRA. There are 2 giveaway events happening with this campaign. One is the weekly $100 and monthly $500 site wide sweepstakes once you complete all 4 engagements and submit your info. Once you do that you are automatically entered into these drawings. You can enter parentinghealthy in the promo spot as shown above at submit screen. The second giveaway is right here! Once you do all 4 Are You a Health Plan Pro engagements (quiz, matching game, slide configurator and cost ranker) and submit on their site, come back here to enter my (2) $100 Walmart Gift card prizes! The BEST part? You can come back everyday to enter on this site and within the UnitedHealthcare engagement site for their prizes too. Start HERE! 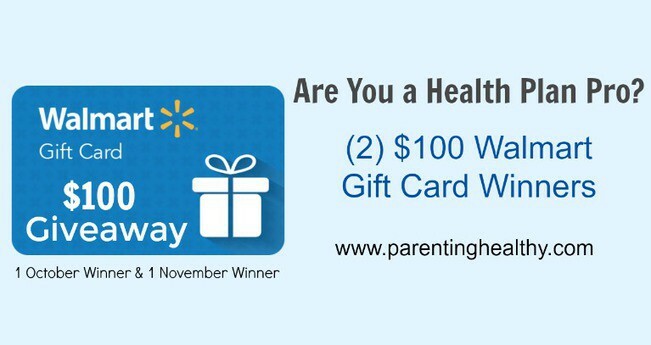 Parenting Healthy will have 2 monthly winners throughout the contest—one chosen on October 31st and another on November 30th to win a $100 Walmart gift card. 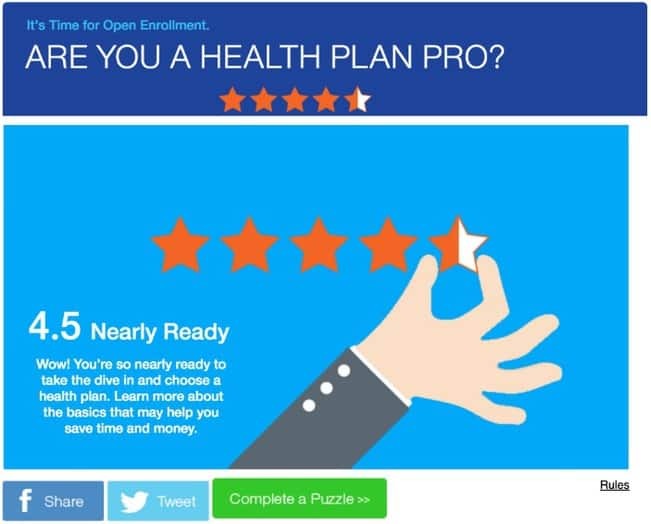 As stated above, head over to the Are You a Health Plan Pro engagement site and complete ALL 4 tasks. They are quick and easy and you will learn a thing or two as well. Once you complete all four engagements and submit, come back here and enter below. You can do this daily (complete the tasks daily and come back here daily after you are done). The Philosopher's Wife is not responsible for prize shipment or fulfilment. This giveaway is in no way affiliated with social media.